Java India offers high-quality Java Development services to clients with diverse requirements and from various industry verticals. Java India creates intuitive Java-based web chat applications featuring multimedia file transmission, real-time connectivity, video and voice calling, and more. Java is a powerful, open-source framework that is enriched with features such as flexibility, ease of use, security, portability, and accessibility. Together, these features make Java e-commerce CMS the perfect choice for building rich and functional online stores. Java India brings together the expertise of certified Java professionals and e-commerce specialists to harness this platform for creating outstanding Java solutions. Java India provides Java Enterprise Development Services that includes Java Enterprise Application Development, Spring/Hibernate Development, Service Oriented Architecture, Enterprise Software Development, Enterprise Web Development and Enterprise Migration. Java India offers reliable Java application maintenance and support services for applications built in Java post final deployment to improve its performance and flexibility. Their expert developer team takes utmost care in modifying the software product post delivery to remove shortcomings, enhance performance and other attributes, and even adaptation of the product with the altered environment. Java India offers expert Java migration services that enable enterprises to capitalize on the capabilities of this high-power technology platform. They have a team of skilled Java professionals who hold expertise in the migration of legacy business applications to Java while preserving the value in them and ensuring the interoperability of the existing business systems with the new setup. Java India crafts user-centric, robust and business-focused Java mobile applications . Java India offers a wide range of Java web application development solutions that fulfill the multiple requirements of clients. Their in-house team of highly-experienced and versatile developers adopts an innovative approach to build a comprehensive suite of scalable and result-driven web applications, which deliver better user experience and higher ROI to the businesses. Java 2 Platform Enterprise Edition (J2EE) is a powerful programming platform that is acclaimed for developing multi-layered web-based applications. From its inception as the 1.0 version, J2EE has come a long way to become one of the leading programming platforms for business enterprises. As it combines a set of protocols, services and APIs, J2EE development is in high demand for businesses and developers alike. 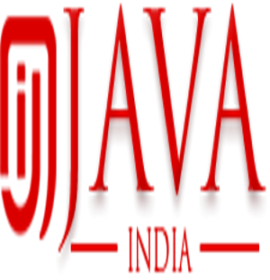 Java India offers exceptional Java/J2EE programming services to suffice to the web and mobile application development needs of the clients from diverse industries. Our team utilizes the existing trend in design and development of apps on J2EE to create exceptional applications that are portable, robust, scalable and secure.